A new spot to score Belgian-style waffles, coffee and desserts has opened up shop in the neighborhood. Located at 10250 Santa Monica Blvd., Suite 9270 in Westfield Century City (Floor 2), the new arrival is called Leaff Artisan Belgian Waffles. 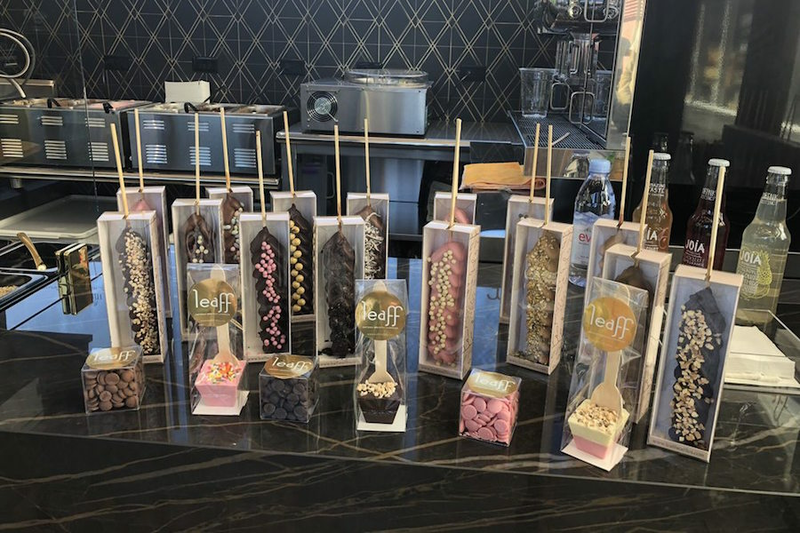 The fresh addition specializes in customizable chocolate-dipped waffles on a stick, where customers can select their preferred Belgian chocolate flavors and from an assortment of toppings, including lemon rock sugar, marshmallow bits, hazelnut brittle crunch and edible 24k gold. With a 4.5-star rating out of seven reviews on Yelp so far, the newcomer is on its way to developing a local fan base. Jooyun K., who was among the first Yelpers to review the new spot on Dec. 3, wrote, "If you are close to the Westfield Century City mall in LA, please try this amazing desert! So yummy and tasty! I tried the milk chocolate-dipped waffle with marshmallow and hazelnut toppings, and it was even perfect." "Great authentic Belgian waffles," shared Yelper Mehtap Y. "Very cute store, friendly customer service and great coffees. Highly recommend!" Swing on by to take a peek for yourself: Leaff Artisan Belgian Waffles is open from 10 a.m.-10 p.m. daily.